She’s broken, but not any less than whole. 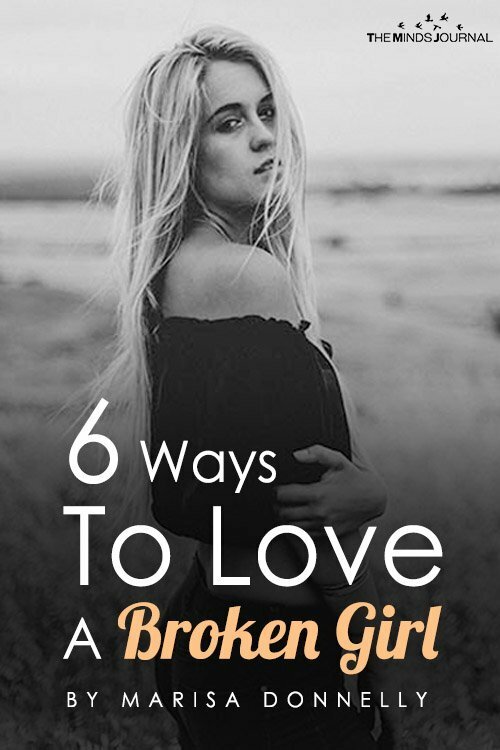 She’s been hurt by the people from her past, by the relationships with men who were too afraid to love her, and by boys who treated her as disposable rather than valuing her heart. She is heartbroken, but her soul is still intact. Although she’s gone through hell and back, she isn’t afraid of love—and you’ve caught her attention. She wants to get to know you, wants to let you in. But you have to be patient. 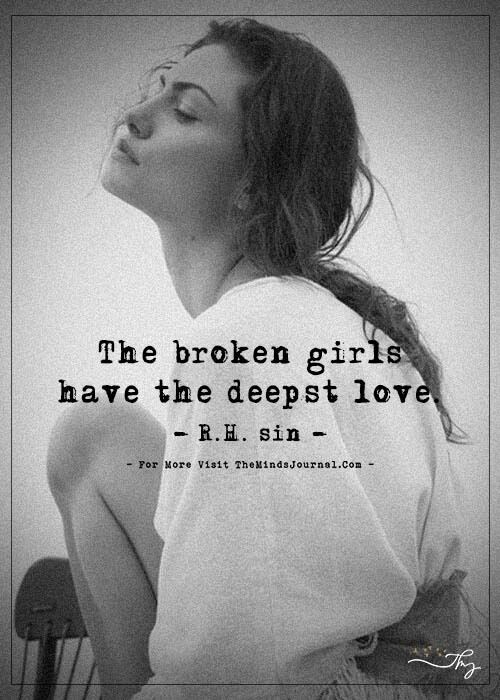 There are certain ways to love the broken girl. And if you’re willing to do them gently and carefully, she’ll learn to love you, too. 1. Have compassion and listen. Above anything else, she longs for you to understand what she’s going through. u promise to stand beside her and simply listen, she’ll open up. 2. Understand that you can’t fix her problems and she doesn’t want you to. 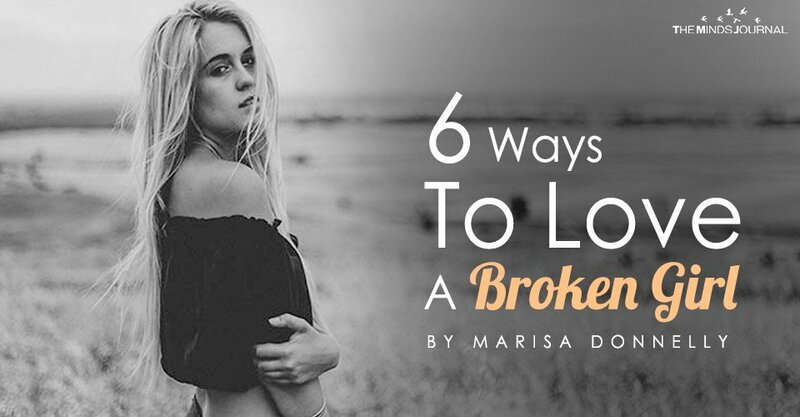 When you love the broken girl, it’s not about feeling the responsibility to mend or to fix. She has pain from her past, but she doesn’t need a savior. She doesn’t need you to come in like a knight in shining armor and rescue her. She is fine on her own, and needs to process her own emotions. As much as you want to take action, go after the guy from her past, or actively do something to change what she’s feeling—don’t. Moving on and healing from the past are things she must do herself. 3. Be gentle with your approach, but don’t treat her as fragile. She longs for compassion, but doesn’t want to be treated differently because of what she’s gone through. She’s broken, yes, but not fragile. Treat her like any other person, but be gentle and not aggressive. She will heal in time—on her own—but will value you walking beside her. 4. Validate the things she’s feeling, without trying to justify or explain. Sometimes there is no justification or explanation that can be made for the way she’s been treated. You may think that this could help her come to terms with the pain and move on, but it’s not your decision to make. Validate her feelings, but don’t try to change them. 5. Follow through on your promises. She’s been let down before and isn’t looking for another person who will say all the right things without backing them up. If you’re serious about her, follow through on your promises. This will be so valuable to her and to the bond you two build. 6. Show her you’re different, and prove it. If you want to love the broken girl, show her that you’re different. And prove it. Show her that you’re not like the other guys who were quick to quit and walk away. Show her that you won’t leave her brokenhearted and abandoned when you start to fight. Show her that you’re serious, that you’re committed, and that you’re ready and willing to accept her where she is. Love her fully—and she will, in time, love you, too.